So why I have started to write this content on the best Evernote alternative app or note-taking app for Ubuntu Linux? The answer is straightforward as Evernote still does not offer any official client for Ubuntu or any Linux distros. Here I will be sharing a generic list of Best 13 Evernote replacement clients for Linux but one thing to remember that you can use any of these notes taking apps as standalone as it is on any Linux distributions. Before going to the list, you can see my previous article on Best 10 Linux Code Editor. 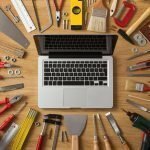 As of now, Evernote does not support officially for Linux, so the below apps may be used for creating, modifying or deleting, managing notes, tasks or to do list. Many of these Evernote replacement apps support own cloud storage where others support external cloud storage like Google drives, Dropbox etc. Let’s not make it descriptive, we can go ahead with the list of best note taking apps or Evernote alternative apps for Ubuntu Linux. Simplenote is the best note-taking app for Linux right now. It provides all the features that a modern and professional note-taking app must have. This how it becomes the best Evernote alternative app for Linux. This simple and elegant app is designed and developed by the same company who developed WordPress – Best Blogging open source platform, Automattic, Inc. So let’s have a glimpse of the important features of it. Very easy to create or edit notes, tasks or documents. The user can collaborate with other Simplenote users in real time. Supports for markup and note tags. The user can publish the link to public view. Supports all the major OS platforms including Windows, Linux, Android, iOS, MacOS, and Web. One app rules them all, the best alternative to Evernote for Linux. Turtl is a secure and privacy-focused note-taking Evernote replacement for Linux OS. You can use it for saving articles, bookmarking websites, project documentation and much more. Users will get the look, feel and similar experiences of Evernote by using this piece of nifty software. Let’s have a look at its essential features. Offers to use of the best cryptographic practices. The user can convert the notes into HTML. Provides an opportunity to share the notes and contents with others through encrypted channels. Your privacy will not be compromised as it keeps all the documents and contents into an encrypted safe vault. Medleytext is not just another note taking app or alternative to Evernote. It’s made especially for the developers and programmers. Though general users also can use it without any specialized knowledge or coding. Open source and free cross-platform notes taking app. Beautiful, modern and intuitive user interface. Supports all the major platforms including Windows, Linux, and Mac OS. Lots of options for text formatting including color, size, style, images, links, etc. Customizable UI, custom themes, fonts, etc. WizNote is an open source and completely free note-taking app for Linux, and apparently, it’s a great Evernote replacement software available right now on the market. Users can create, edit or view notes and documents on Windows, Linux, iOS, Android and much more. 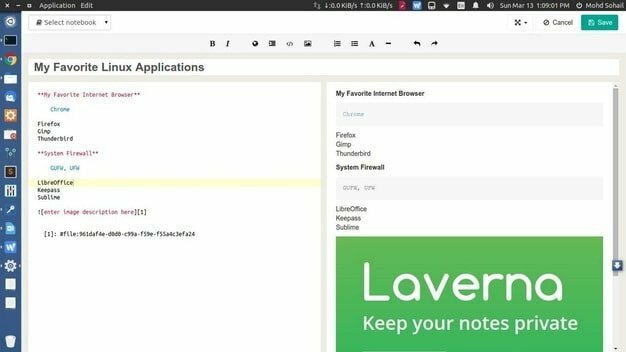 Laverna is an open source free note-taking app for Ubuntu which is an excellent Evernote alternative for Linux. 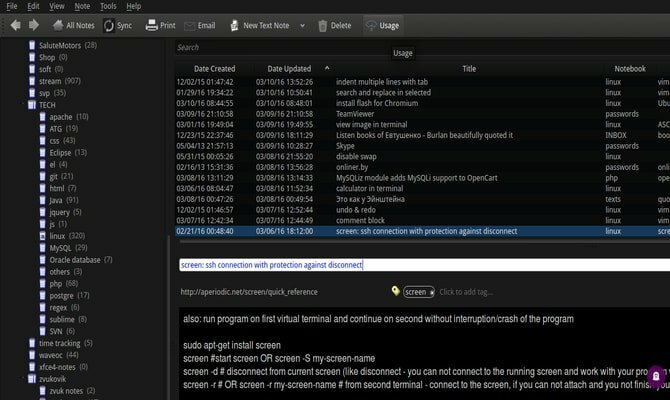 Its official Linux client is effective for making, editing or deleting notes. This app does not provide any in-house made cloud storage to keep or synchronize the notes rather Dropbox can be used as linked cloud storage for saving all sort of notes or documents. This how the users get all the notes across the devices. 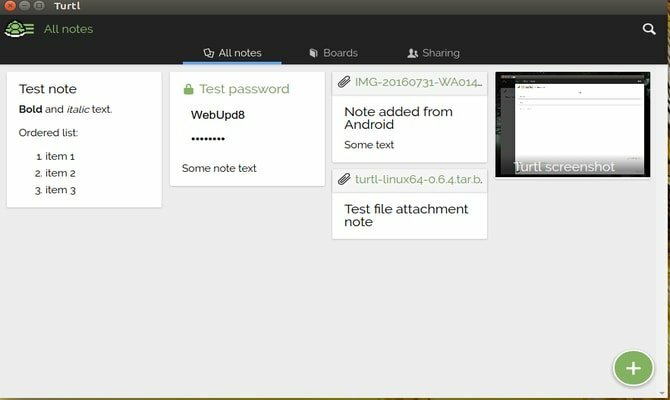 An open source Evernote alternative app or note taking software for Ubuntu Linux. Offers easy integration with external cloud storage synchronization. 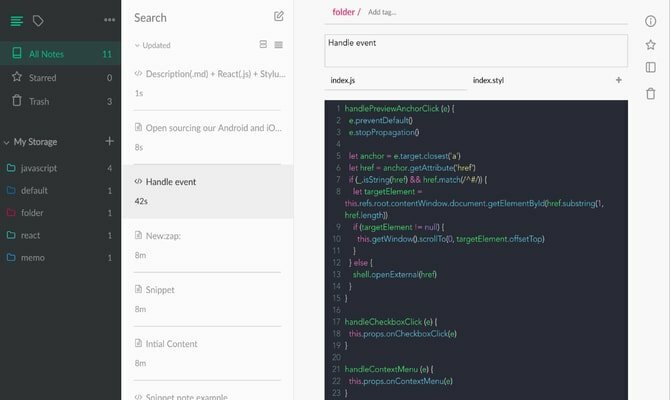 Provides syntax highlighting and Markdown editing. The user can create notes and tasks. 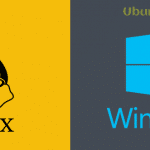 NixNote, formerly known as Nevernote, is considered as one of the best alternatives to Evernote for Linux. It comes with lots of features for taking notes and task without any hassle. One important feature that makes it stand alone in the market as it uses Evernote serve for synchronizing all the notes, tasks, and documents across the devices especially on mobile OS. So users won’t lose any notes if even NixNote is used on Linux. You can install it via PPA on Ubuntu Linux. Run the following command into the Terminal. Google Keep is the best alternative to Evernote and independent note-taking app for all the dominant OS including Chrome OS, Windows, Linux, Android and iOS devices. This excellent software is developed and maintained by the giant technology company Google. Users can do almost everything that an excellent note-taking software must have. You can install it as a standalone app or use a web app or extension on any system. Can capture or save anything that a user can imagine like text, web page, documents, images, etc. Offers a voice recording memo. Can set reminders and easy integration with Google calendar app. Easy to share the thoughts with others by using emails. Group of a user can edit or create the notes or tasks at the same time in one place. Various color palette and leveling system helps to organize and search the required notes quickly. Can make To Do list. 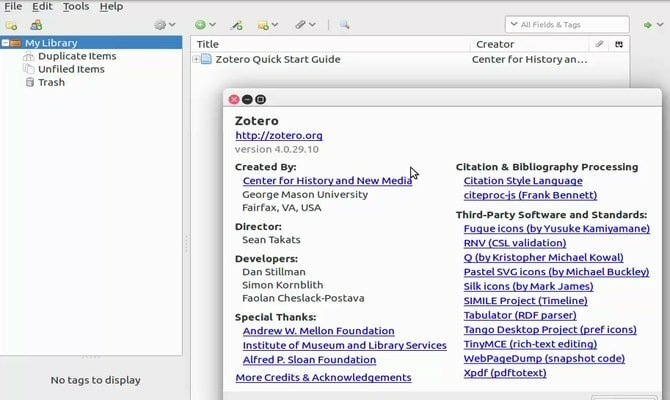 Zotero is an excellent Evernote alternative app for Windows, Linux, and MacOS. It’s a personal assistant who let you create an own content library. You can create, edit and view all the notes and tasks from anywhere on any OS. Moreover, it offers easy browser integration which helps to grab web content automatically. Literally, users can store anything including text, image, web links, audio, videos etc with just a few keystrokes. Content library can be organized and maintained by using tag system and Playlist collections. It also synchronizes all the contents and notes across all the devices. Data backup and also restore available for offline archives. At last but not the least, Zotero provides a user-friendly atmosphere for collaboration task with other group members. You can create both public or private projects and after completing the work, publish it for public view. Or Download from below link. 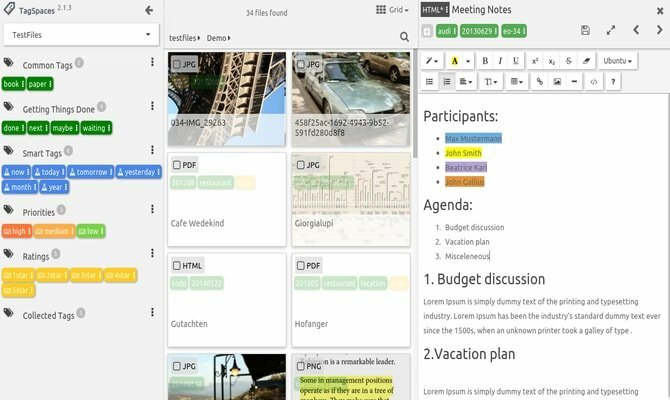 Tomboy is mostly a sticky note-taking app for Linux. Though it’s not a perfect alternative to Evernote users can do a lot more task similarly any other best note-taking apps in the market. Gnome project is responsible for developing this useful and original app. One of the best sticky note taking apps. Users can create and save the notes locally on their system. Provides backup and restore notes. Supports text highlighting, email linking, automatic hyperlink, spell checking software built-in and much more. RedNotebook is powerful and features rich Evernote alternative note-taking software for Ubuntu. Mostly it’s made keeping in mind of diary entries. There is a calendar which helps you to put notes or task and let you search by dates. Dairy like note taking app. Text can be formatted and supports images. Notes can be exported as text, HTML, latex format or pdf. The user can use tags for natural search. Supports all the major platforms including Linux, Mac, and Windows. Boostnote is also an open source and advanced note-taking editor app for developers and programmers, just like MidleText. 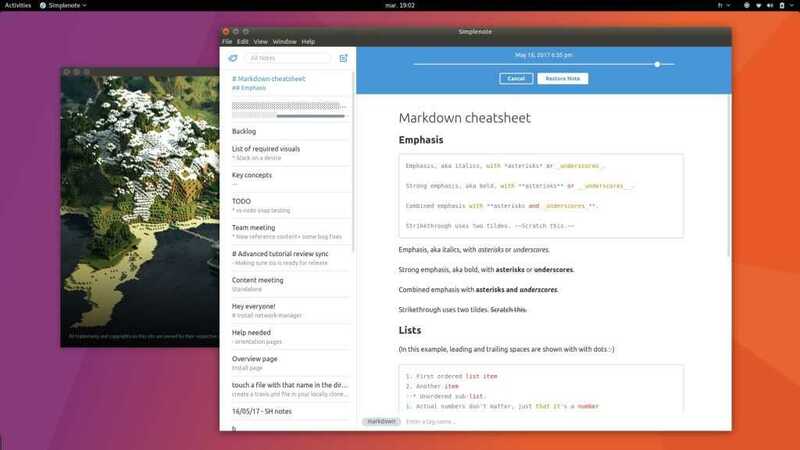 With a little bit advanced knowledge, it can be a great alternative to Evernote app for Linux. This Evernote alternative note-taking app saves the content when you write and this how you never lost any notes or documents. A Beautiful and minimum design which can be decorated with color themes. Can be used as offline, no internet required for creating any notes. 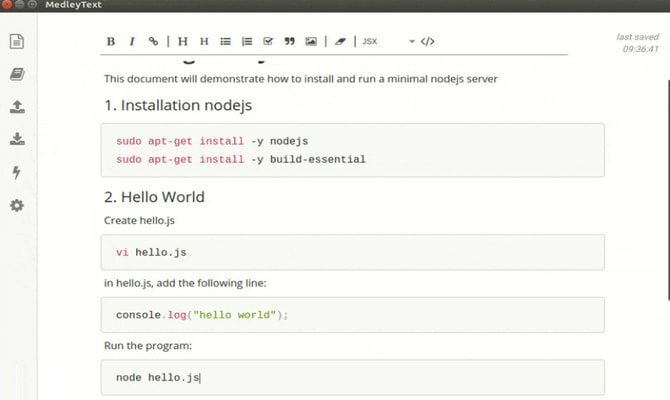 Supports cross-platform including Linux, Windows, and MacOS. Tag support and text highlighting. Lots of themes for eye candy look and feel. 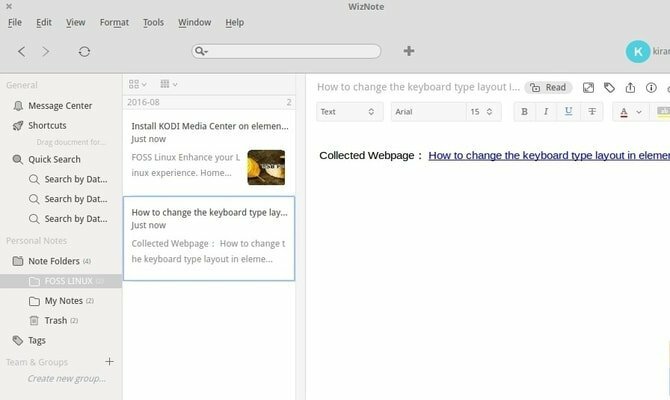 Though TagSpaces is not that familiar with the world of note taking app or Evernote replacement app, still it’s a feature-rich software for Ubuntu Linux. I might be wrong if I mention this app as the only note-taking app instead it’s a complete data management software. The user can organize and manage all the files of the system through this simple and highly customizable app. You can also host your files with a tag system which is helpful when searching the files and documents quickly. 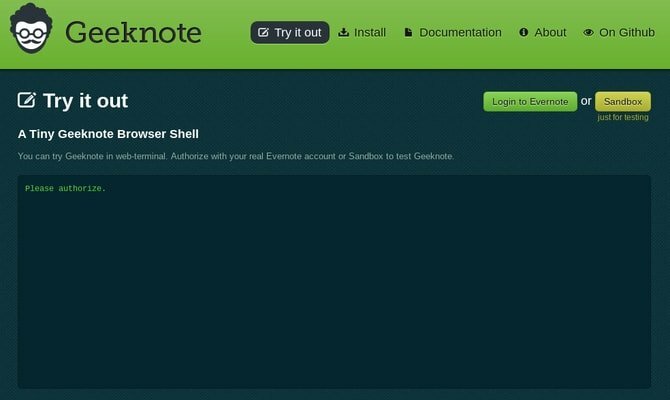 Geeknote is an unofficial command line client to the Evernote app. It helps you to create or delete notes using any terminal text editor, sync directories, read notes in terminal and much more. Geeknote is a cross-platform app which supports Linux, FreeBSD, and MacOS. It’s an Evernote console client for the geek, by the geek. Nowadays note-taking apps is a must-have for any platform. And in this sector, Evernote was the best and unbeatable. But now the thing has been changed. There are a lot of open source note taking apps available in the market which can be used as independent software or as Evernote alternative for the Ubuntu Linux system. Here I tried to include all the best alternatives to Evernote notes taking apps for Linux. Don’t forget to share your experiences and choices of selecting the best Evernote alternative app with us in the comment section. Also, let me know if I missed any essential apps to include on this list. As far as Evernote clients for Linux, I find Tusk to be as close to the official Windows Evernote client you can get. It has served me well. Tusk has an elegant interface and has never given any issues. Another open-source note-taking application I really like is Cherrytree. I use it more for personal stuff and it has a lot of advanced features. RedNotebook is great, too but I find it particularly suited for journal/diary application. There are too many wonderful open-source alternatives available to even consider the closed-source variety. The only non-FOSS software I currently use is the Markdown Editor, Typora. My hope is when development on Typora reaches final release it will be as open-source. I can’t find the way to convert turtl notes to HTML. Is there any body who has some ideas about how to do that? MedleyText is NOT open source! SimpleNote and Trutl should not be at the top of your list. They are not NOTE APPS, they are software as service applications. As long as they requiere you to sign up for an account in order to use the application, you can bet your a.. that a premium version that you have to pay for is coming or exists, and the “free” version will become/is next to useless. There are other “Applications” or “Apps” on your list that demands/requiers that you sign up for “their” service to use it. If you have to sign up for something, then it is not free, it is an information gathering solution for the creator of the “app”. So please mark the “applications” correctly, if they requiere that you signup for an account they are not applications, they are Software as a Service, and definatley not free. I completely agree with this. Simplenote requires an account; My interest is keeping my data and my apps local. Does anyone use Collate? I like it, but wish it had a mobile version. 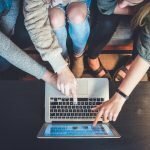 UbuntuPIT is a Leading Technology Blog with a Focus on Latest and Trending F.O.S.S and Linux News, Software Reviews, Themes, Tutorials, Hardware Gadgets, Linux Distro Reviews, Chromebook Tutorials, Games, Data Science, Coding and Programming language, and Open Source Trends including IoT, Cloud Computing, and Cyber Security. UbuntuPIT Loves Open Source Software. © 2017 - 2019. All Rights Reserved.